I’ll be 55 next month. I was diagnosed with A-Fib over 30 years ago, but don’t really know how long I’d had it as I was mostly asymptomatic unless exercising during air pollution episodes (“red alert” days) and when sick. 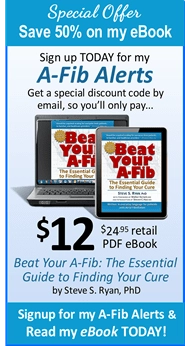 I was in A-Fib 24/7 all that time. 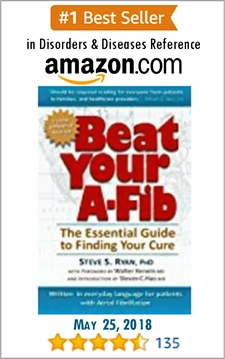 We have no idea why I went into A-Fib. My experience with cardiologists was hit and miss. Early on I was told that they had never seen someone so young with A-Fib (at the time, I was in my mid-20’s), and some told me the best they could do was medicate me so I could walk from the bed to the window and back. I changed doctors. 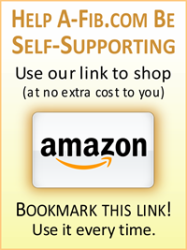 Others wanted to give me all kinds of meds, which I researched and refused to take. I had one cardioversion which took for a few days; I didn’t try another. In the end, I took digoxin for years (which did nothing much except minimal rate control) and then calcium channel blockers for about 10 years (which actually controlled my rate so that I could exercise moderately). I refused to take Coumadin/warfarin (blood thinners) and took aspirin instead. This fall, I decided to have an ablation. I did a trek in Peru this summer and it about killed me. I got so mad at my heart and at my cardiologist (who basically spent five minutes with me once a year and said my life was as good as it was going to get). I decided at the top of the highest pass in Peru to change cardiologists when I got back home. In researching doctors in my area, I learned that ablation procedures have greatly advanced in the past few years. I also knew that my risk of stroke was increasing with age and with the length of time I was in A-Fib (meaning I’d probably have to switch to Coumadin in the next 5 years or so). So, I went to the new doctor (Dr. Marrouche). After doing the cardiac MRI, he felt I was a good candidate for an ablation. 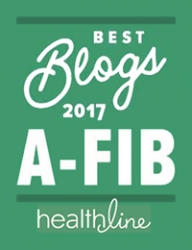 Given my age and my risks with the history of A-Fib, I was willing to take this step for the possibility of no more meds in the future and an improved quality of life. The ablation was done by Dr. Nassir Marrouche, University of Utah Cardiovascular Center, Salt Lake City. I’m no doctor, so don’t hold me to what was ablated — this is how I describe it in simpleton lay language: pulmonary vein isolation, then all areas of fibrosis were scarred. Dr. Marrouche does a cardiac MRI to identify all areas of fibrosis to determine whether you are a good candidate for ablation (i.e. too much fibrosis = not so good candidate). I am now 9 days post-ablation and still in NSR. I’ve started walking in my neighborhood and am adding distance and speed with every day. So far, I consider this procedure to be a miracle (and am keeping my fingers crossed). 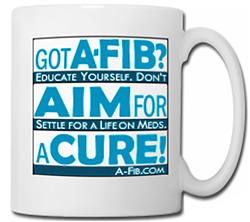 I am now more than one year a-fib free and still feeling terrific. I have revived a dream to walk the Via Alpina (approx. 1500 miles up and over the Alps, walking through 8 countries, www.via-alpina.org). 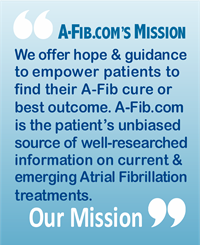 Starting with 2-3 weeks in summer 2011 and finishing up 3-4 summers later, my husband and I plan to “Cross the Heart of the Alps for Atrial Fibrillation Awareness.” I’ll give everyone the link to my blog when it’s ready.